Last week I went to my first blogger networking event thanks to an invitation from Amazon Associates and I'm so glad I went. I met some great girls, and learnt some really useful blogging insights thanks to Ella (Coco's Tea Party), Gem (Gemfatale) and Reena (Fasiondaydreams). It was great to hear from the girls who have made it work and learn a few tips, so I thought I'd share some of what I learnt for those interested in blogging. 1. Don't get disheartened if you don't get many blog comments, it's on the decline as more and more people engage in two way conversations on Twitter instead. For this reason it's really important not to neglect social. It's the main way people will find and identify with your blog so get savvy with how your promote things and don't just think one size fits all platforms either. - Pinterest is very picture lead, it's the main reason people go on, to Pin and get inspiration for their plethora of mood boards, so make sure you use a portrait (long, skinny) picture which has the best use of colour and texture to get people sharing your pics. - Facebook likes large landscape images best. The pics used here should be fun (so people are inclined to like and share) they need to make your post more interesting, but try and be as unique as possible, don't just use a generic holiday snap for example, show something from the holiday nobody else would necessarily know. 2. Be abreast of all the latest social trends, you may have missed the boat with Youtube, or Vine but what's coming up next that you can jump on and lead the charge with? The earlier you adapt to the increasing options the better, as you'll be affording yourself much more scope for your blog. 3. Know what works for you / your blog and create a pattern. Whether that's a weekly or monthly feature, such as a Month in Pictures post, a Throw Back Thursday feature or a What I Wore piece; these are the posts that set your blog apart from others and keep your readers coming back. 4. Don't pun with your blog titles, you may think you're being witty, and chances are you are, but do you want to be witty or do you want people to find you? Witty, pun filled titles affect your Google search and don't register as highly as those they say what it is on the tin. 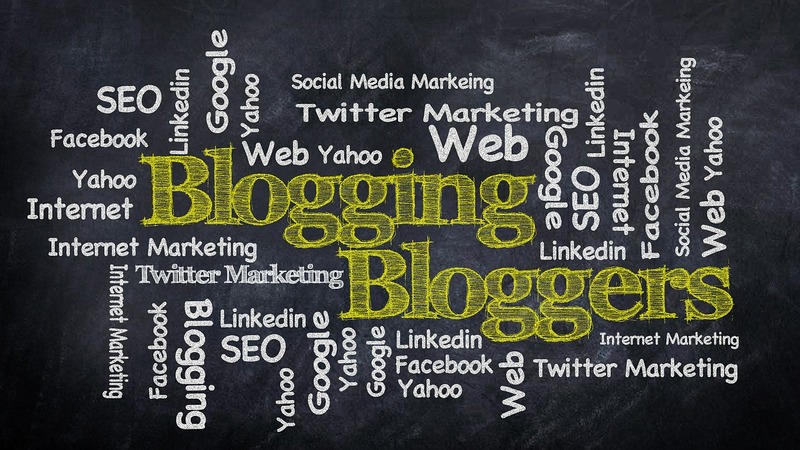 The best way to gain natural exposure from your blog is to get clever with your titles; think about what people will be searching for and what your blog would offer them as a solution. If it's a feature on Bikram Yoga, call it that in the title, if it's a post on a holiday to Greece, let them know where you went, or similarly, if your calling out a good steak restaurant, include the name in the title. It's simple really, people love being able to read independent reviews on things but a simple, clear title is the easiest way for people to find your opinion. 5. Beyond this, Ella also stressed the importance of calling out the name / location / key search term that you've identified in your blog title, within the first paragraph of your post and then five further times in the post too, it all helps ladder up to better SEO and everyone wants that! 6. Put yourself out there with brands you want to work with, not by overtly drafting a post saying as much obviously, but by talking about brands you actually enjoy using, wearing etc. It's fine as a blogger to talk about brands even if you're not being paid or asked to do so, you're doing it for you and perhaps, the more you grow, the brand will become aware of your interest in them and you've got yourself a potential partnership opportunity. 7. Be proactive in approaching brands, retailers, restaurants you want to work with but be sensible about how you go about it. Draft a document, this can be either an email or a one page word doc that outlines the key thing that helps sell your blog to a potential partner. This can include: social media figures, monthly readerships, global readership breakdown, previous case studies / examples of pieces you've done before, a summary of your blog and anything else you can think of. All brands want word of mouth, and bloggers want content, so really there is the option to have a match made in heaven - just make sure the brands are ones you're actually interested in, you believe in and you aren't just doing for the freebies/payment and therefore provide a dishonest review. 8. Affiliate links are a great way to monetise your blog in the most honest form. The way they work is, say I buy a new camera, and I know that it's sold on Amazon for example - I could register to Amazon Associates (Amazon's affiliate programme), I'm accepted, and it generates a unique link for me to post to that camera on their site. This unique link means that if anyone clicks this link from my page, and buys the camera, I will get a small percentage of that sale. Amazon say it has one of the best percentage rates in the business, so you'd be silly not to give it a go right? The other thing about Amazon is that the links stay live for much longer than some of the other affiliate sites that Reena mentioned, which tend to have a one-to-three week 'live' life. 9. Lastly, and I think this is such an important piece of advice that Ella gave, remember that the last thing you post, is always the first thing people see! Therefore it's so important that you don't lose your high standards, make sure you check, check and then get someone else to check again to ensure what you're putting out is really your best work. Hopefully there will be some insights there that you can take away and get onto, if not and you're already doing them already then power to you, you're winning!